Hypopigmentation is the absence of normal amounts of melanin (the chemical that gives skin its colour) caused by disease, injury, burns or other trauma to the skin. Hypopigmentation can be tricky to treat. There are topical medications that sometimes help, and light-based procedures like IPL, excimer lasers, can be used. Melanin is the substance that gives skin its color, or pigment. When the skin cells that produce melanin (melanocytes) reduce their production, the resulting condition is known as hypopigmentation (loss of skin color). Hypopigmentation is also known as skin depigmentation. The most common cause of hypopigmentation is damage or trauma to the skin. Burns, infections, pimples, blisters, scrapes, and any injuries that result in scarring can all lead to skin discoloration. 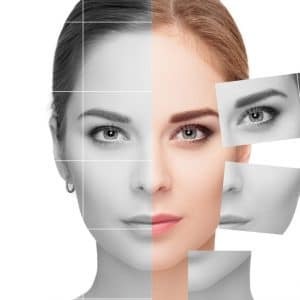 Improperly administered skin resurfacing treatments, such as Photofacials (IPL), laser peels, or chemical peels, can cause skin damage that results in hypopigmentation. In situations where hypopigmentation is the result of skin inflammation or damage, the condition may be referred to as post-inflammatory hypopigmentation, or PIH. This can get confusing because PIH is also used to refer to post-inflammatory hyperpigmentation, a skin condition where pigmentation is increased, not decreased. Although the numerous lasers and other light-based treatments available today are often perceived as a cosmetic cure-alls, , excimer lasers are the only light-based procedures that have been suggested by the doctors for hypopigmentation treatment. camouflaging with cosmetic tattooing or permanent makeup may be the best option. The hypopigmentation due to inflammatory skin disorders and infections usually resolves by itself over weeks to months once the underlying disorder has been cleared. There is no effective treatment for achromia due to scarring. The ExSys Excimer Laser 308 nm offers a revolutionary new treatment for patients suffering from vitiligo, eczema and psoriasis. This laser uses a carefully focused beam of light delivered through a sophisticated fiber optic device. The Excimer system allows the practitioner to use high doses of UVB light necessary for fast, effective treatment of the eczematous patches, whilst minimizing the risk of exposure to healthy skin. For patients with resistant eczema, this new laser allows for quick, effective, and painless therapy. Patients can often obtain relief in just four to eight brief sessions, compared to 25 to 30 treatments with conventional phototherapy. Remissions are expected to last months. The ExSys Excimer laser has shown to have significant improvements in the treatment of vitiligo patches. This laser emits light energy at a certain wavelength (308nm) that stimulates the pigment producing cells in the depigmented area of the skin. Therefore over a course of sessions which only take minutes to carry out re-pigmentation can in some cases achieve nearly 100%. The Excimer laser is particularly useful for reducing the appearance of old, white stretch marks. The Excimer laser emits short UV pulses that stimulate skin cells called melanocytes to produce the skin’s pigment, melanin. The melanin darkens the stretch marks. The eventual goal of the treatments is to re-pigment the stretch marks so that they match the natural skin color and are less noticeable. Stretch marks can be brown, red, or white depending on the type of skin and type of stretch mark. White stretch marks are more mature (older) and have lost pigment (colour) within the damaged areas of skin. This lightening of the skin is known as hypopigmentation. Because stretch marks are caused from permanent damage to the skin/tissue, the goal in treating them is improvement rather than complete removal. Lasers are excellent options when used to fade red or brown stretch marks or for improving textured stretch marks. However, when pigment is lost (hypopigmentation) treatment of the stretch marks a bigger challenge. 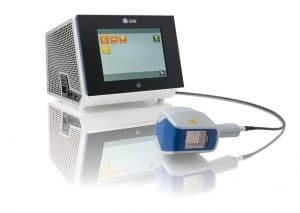 There is only one technology (Excimer laser) that works by bringing or dragging the cells that hold colour (melanocytes) from surrounding areas to the lighter areas. Although this laser is effective at repigmenting white stretch marks, patients with lighter skin types may be disappointed with results because they can be inconsistent from person to person, only partiallyrepigment the stretch marks and have only temporary effects. Any benefits received for re pigmenting white stretch marks are temporary, and repeated treatments will be required to maintain the results.